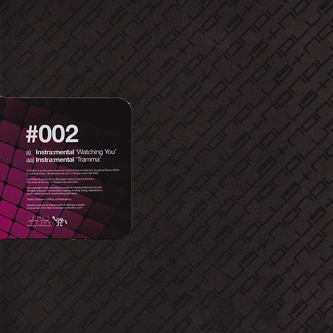 Very big and very clever moves from Instra:mental for his own Nonplus Records. It's such a simple idea, but one so rarely used by any record labels in the D'n'B or dubstep pools; why not have a 12" with one side of D'n'B tempos and one of dubstep? 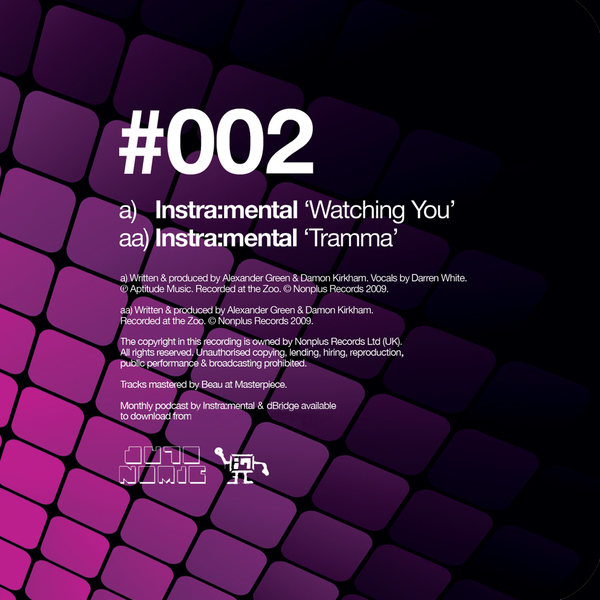 Instra:mental have executed the idea brilliantly with the futuristic D'n'B pop of 'Watching You'. The cut features D-Bridge's vocals over a sparse rhythm that expands and contracts with an uncannily sharp flex and ranks as one of the finest D'n'B tracks we've heard all year. On the flip he switches to stepping techno mode at 140bpm, riding a sick pattern sounding like Photek remixed by Monolake. Seriously, it's f**king killer! This 12" blows most pretenders out of the water and comes highly recommended to any fans of Burial, T++ or Shackleton. Tip!